Jacksonville-based Sisler Johnston Interior Design recently completed the design of the Pinemore model home by GreenPointe Homes at Southern Hills Plantation. The interior design firm’s president, Judith Sisler Johnston, allied member, ASID, led the team of designers working on the home. The Pinemore model is a two-story home with a Folk Victorian exterior architectural design. The home’s interior features a spacious great room design with an open gourmet kitchen, three bedrooms, three baths, a bonus room with covered balcony and an expansive outdoor living area with summer kitchen. Sisler Johnston selected a contemporary transitional design style in harmony with nature and the environment. 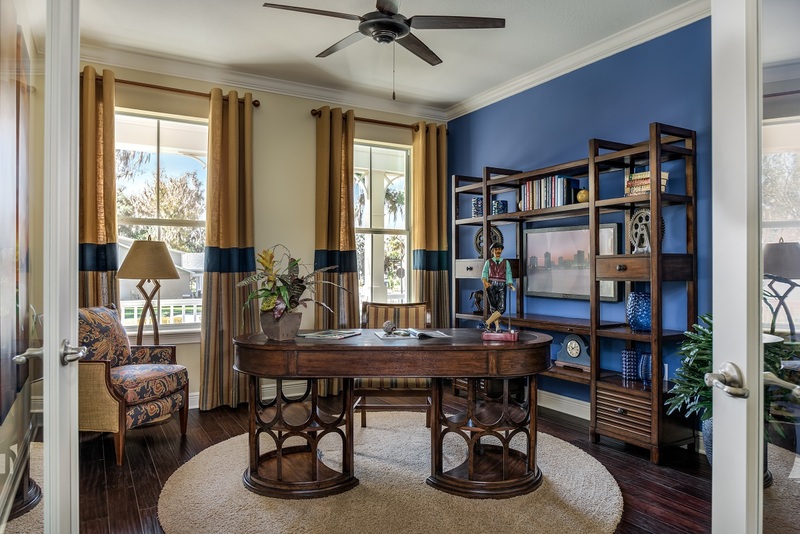 The home’s color palette features cool neutrals with vibrant accents of citrine and lapis blue. The Pinemore’s covered entry opens into a welcoming foyer where wood flooring flows into all entertainment areas, the gourmet kitchen, home office and upstairs bonus room, which has been designed as a Man Cave. 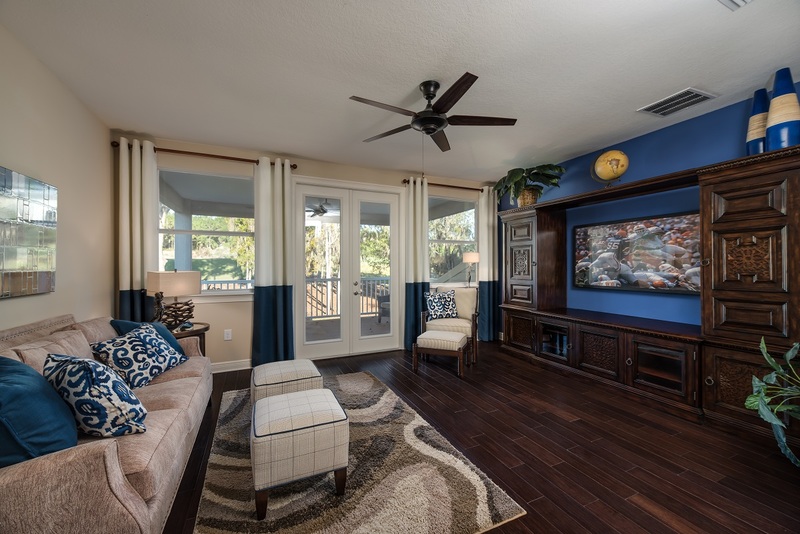 Dedicated to the man of the house, the Man Cave is filled with the essence of his favorite pursuits including sports, hobbies and a well-stocked bar. 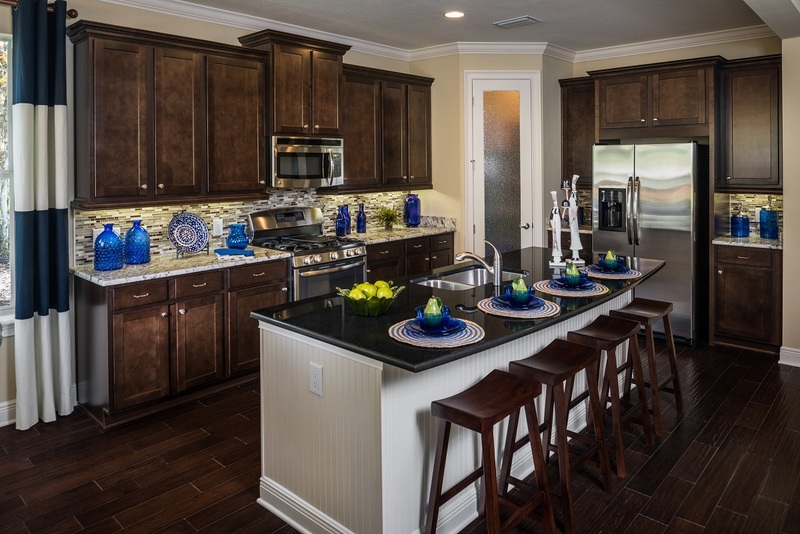 The Pinemore model includes beautifully crafted 3cm granite countertops throughout, designer cabinetry, oversized ceramic tile in the baths and plush carpeting in the bedrooms. The Pinemore is one of numerous home designs available at Southern Hills Plantation where GreenPointe Homes offers a collection of classic Southern architectural styles including Victorian, Georgian, Colonial Revival, Low Country and Craftsman. 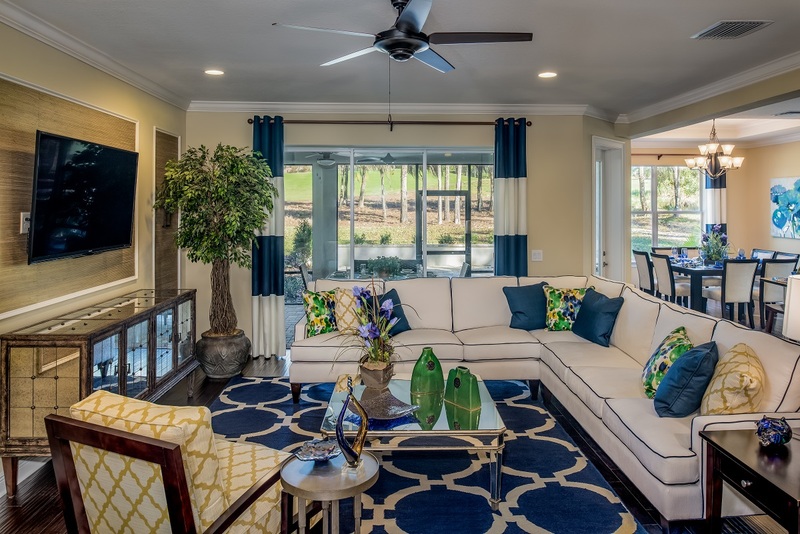 Southern Hills Plantation is a master-planned private club community surrounded by rolling hills, towering oaks and connected by parks and trails. The community’s centerpiece is a spectacular 18-hole Pete Dye golf course and practice facilities including a six-hole par three course. Other community amenities include a Plantation-style clubhouse with panoramic vistas of the golf course, aquatic center with resort-style pool and full-service spa, fitness center, tennis facility, walking trails and a picnic area.